New development in Sanchez transfer sees him leaving the hotel the evening before Crystal Palace game. The protracted transfer of Alexis Sanchez may be coming to an end finally. Following Friday failure to tie down a swap deal involving Sanchez and Mkhitayan, both players returned to their respective current clubs, with Sanchez pictured training with the rest of the squad and Arsene Wenger indeed intend to include him in his squad that will face Crystal palace, in what seems to indicate a possible break down in negotiations which raises the possibilities that the entire deal may fall through. 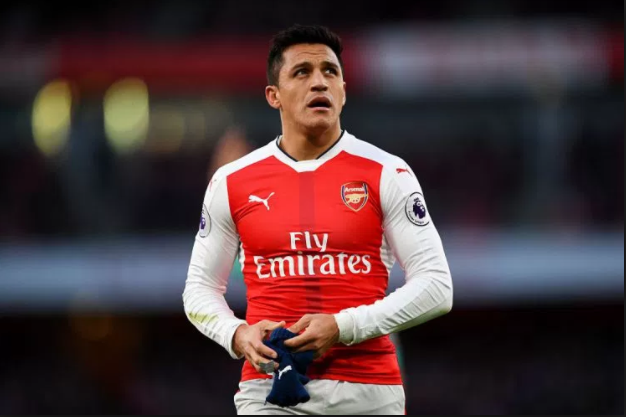 However, according to John Cross of the Mirror, there was a dramatic development late last night 19th January which may have unlock the deal, Alexis Sanchez subsequently said his goodbye to his teammates and the staff and headed to Manchester to complete his transfer. It was rumored that Arsenal and Manchester United may consider doing separate deals for Sanchez and Mkhitaryan that will see Man United pay Arsenal the asking price for Sanchez and then Arsenal separately negotiate a deal for Mkhitaryan, as a swap deal seems impossible. It is however yet unclear if the late night breakthrough is for the swap deal or simply the transfer of Alexis Sanchez. In other transfer deadlock involving Arsenal, the manager of Borussia Dortmund, Peter Stoger has denied that there is an offer on the table for Aubameyang. “There is nothing on the table, only hot air, We’re planning with Pierre-Emerick Aubameyang and there’s a way back into the team for him. All week long he was good at training, which is why I said at my press conference that he would be in the team, But at the last practice I just felt like he wasn’t fully focused. It was a very important match and we have so many quality players that I chose another one. It is unclear if Dortmund is playing hardball at this stage or Arsenal not showing enough commitment to buy the player. The coming week is key for Arsenal, having sold Coquelin, Walcott and now Sanchez without bringing anyone in apart from Konstantinos Mavropanos, the transfer window that at one stage looked promising for Arsenal and Wenger may again be considered a failure without capable replacements.